Dornoch Lodge is a unique and idyllic retreat, surrounded by soaring mountains and wild tumbling burns, in an area of outstanding natural beauty.The Lodge oozes with warmth and highland charm. 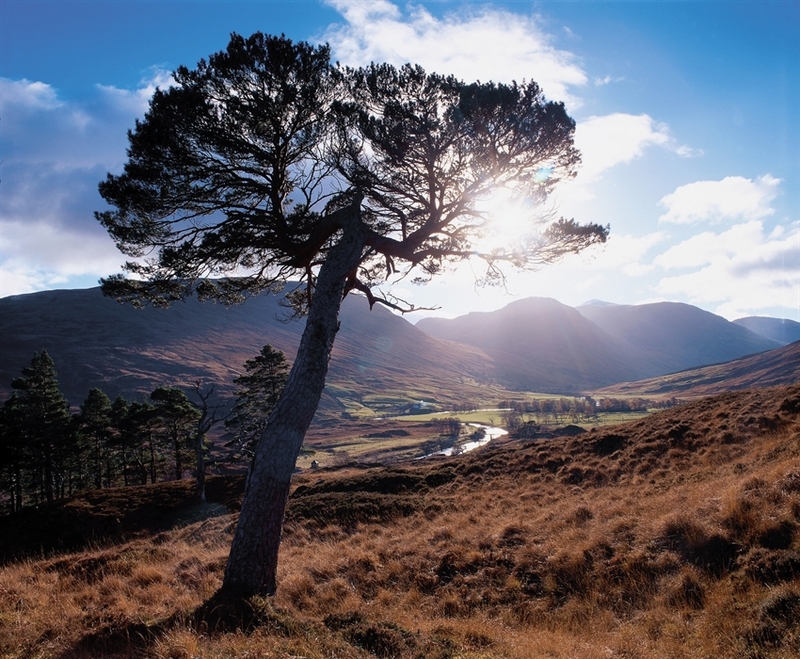 You can walk directly from Dornoch Lodge onto the hills or down alongside the nearby River Lyon where otters are regularly spotted.Wildlife is in abundance and it is not unusual to see a Golden Eagle on the mountain ridges above or Red Deer grazing on the lower hills slopes as evening draws in. The light is fantastic and even with ever changing weather against the ancient woodland the huge views create an atmosphere perfect for romance. Sleeps from 2 to 8 persons in 5 bedrooms with 2 bathrooms both with power showers.